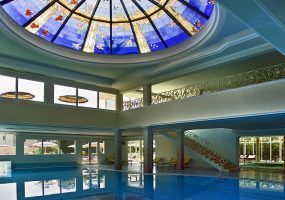 Our Spa offers 3 large swimming pools, 2 indoor and outdoor linked together: let yourself be pampered by 36 hydromassage stations distributed along their sinuous perimeter. The hot water at an average temperature of about 35 degrees will produce feelings of relief and well-being in your body. Feel free to experiment relaxation, which is innovative and offered by each location and position. 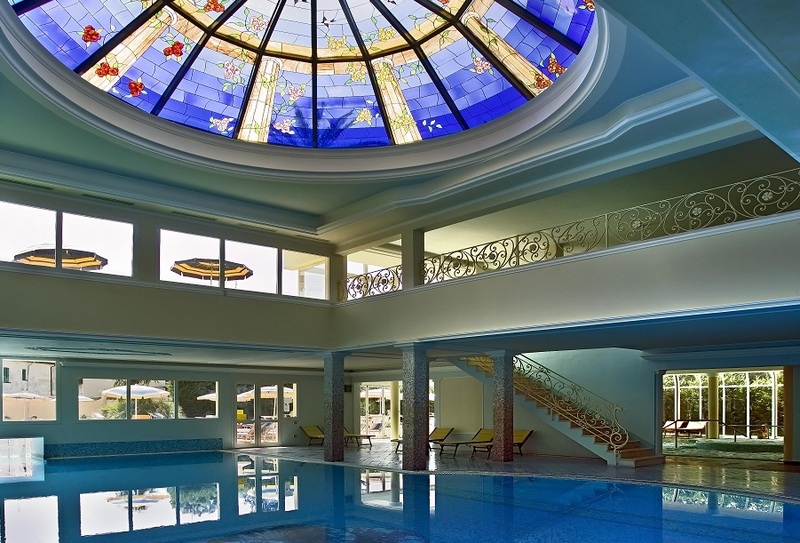 The three swimming pools have sunbeds cervical massage, lymphatic drainage and orthotics, waterfalls, numerous hydromassage “barrels”, and lots of chairs and benches will make your bathing a delight and a unique experience. 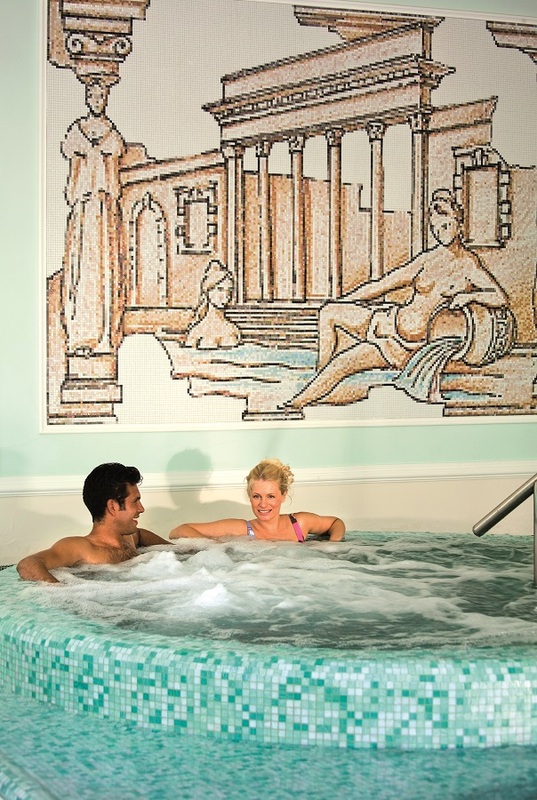 There is also a Kneipp circuit available: alternation of small jetted tubs with hot and cold water, to help and stimulate the circulatory system.